Passion can be both an asset and a liability. Let passion be your incentive to reach out, open your heart, build bridges, grow communities & nurture relationships. Temper your passion to remain objective, receptive and inviting. Take what you have learned over the past two days and take the next step on your Agvocate journey. Nurture the new relationships you have formed here in Nashville. Agvocacy is about working together as a team to reconnect the public to agriculture naturally. Encourage curiosity, questions and dialogue. Build relationships based on mutual trust & respect. Be open, honest and transparent, showing how much you care so others will care about what you know. Open ears, open minds and open hearts lead to powerful relationships and strong bridges. The energy and passion in this room is awe inspiring. You are the future of Agvocacy. 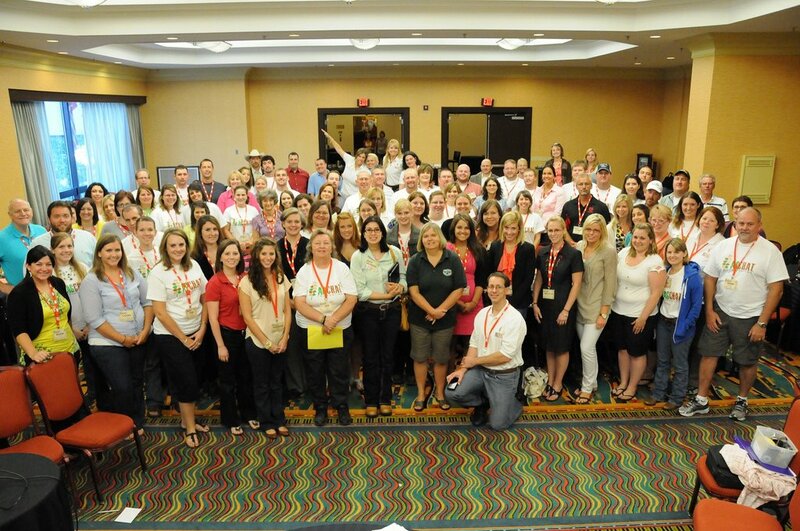 Two years ago I was fortunate to be a part of founding the Agchat Foundation. Six individuals, with tremendous passion, came together with a common purpose to create an organization that would be led by farmers to empower other farmers to utilize social media platforms to reconnect with the public. I stand before you and tell you today…you have given me the confidence that the Foundation and Agvocacy will be alive and strong for years to come. Look around the room. You all should be commended for the decision that you have made to become involved, expand your knowledge and invest your time for the benefit of all agriculture, without preference to size, management practice or commodity. Tykerman1: I have been blown away by all the awesome #agnerd folk at the #acfc11. The future is looking great! Steve, I could not agree more. My journey with the Foundation has come to a fork in the road. It is because of my confidence in what I see in all of you, that I can choose the path that leads back to my family and the ranch. I leave knowing that the future of the Foundation is in good hands and that Agvocacy has a bright future in you. It has been an honor to get to know and work with all of you. Darin, Ray and Zach, you have a wealth of friendly, passionate and energetic agvocates to help the Foundation put the culture back in agriculture and the humanity back on the farm. I encourage you agvocates, who want to become involved in the Foundation to let the board know. Your path has also come to a fork in the road; and you have chosen the path of agvocacy. Whether it’s Twitter, Facebook, Linkedin, Google +, You Tube, a blog, Quora or the next platform…. Keep the curiosity, keep it real, keep it honest, most importantly, kept it fun! Take what you have learned and reach beyond the choir. Thank you all. Safe travels and God bless. Thank You Jeff for all you’ve done the last couple of years. It was my pleasure Darin. It is through our tempered passion that we will continue to foster powerful relationships, build strong bridges and grow wonderful communities based on mutual trust and respect. I’m looking forward to working with you and the Foundation in new capacities in the future.